Occam is a high-population, industrial water world, which has 90% or more of its surface covered in an ocean of water and a billion or more sophonts in population size. It is a member of the Third Imperium in the Dagir Subsector of Alpha Crucis Sector in the Domain of Sol. 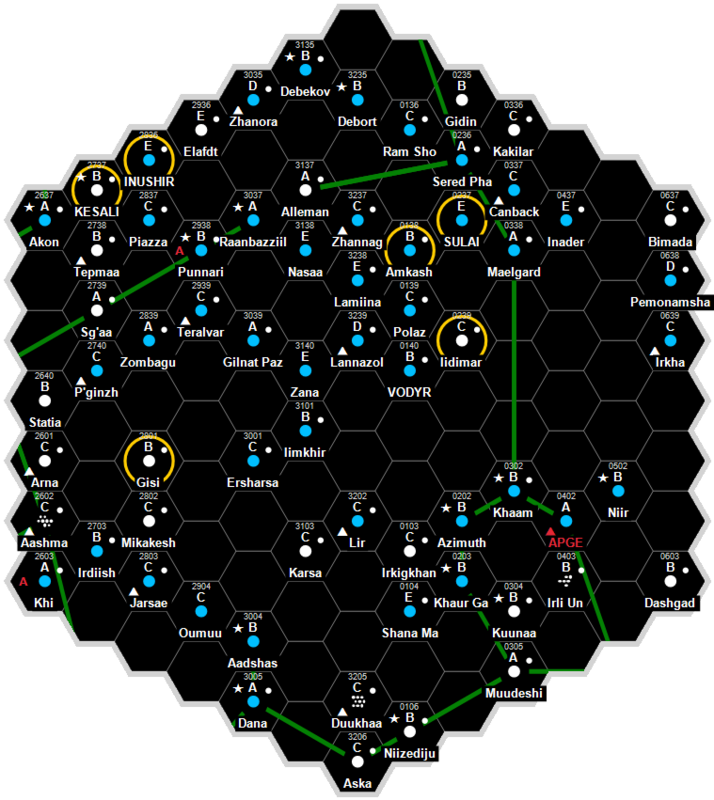 Occam is an important high-population, industrial water world located in Dagir Subsector of Alpha Crucis Sector. Occam, as a member world of the Third Imperium, holds the estate of three members of the Imperial Nobility, who are charged with overseeing the world. Occam has a mixed population of uplifted Dolphins, variant Aquamorph Humans and normal Solomani. There are few underwater habitats but the oceans are known for exotic, large and colorful sea life and it was a major tourist destination prior to the Solomani Rim War. Most of the Humans inhabit mobile floating island-cities buoyed up by gravitics some of which are capable of limited free flight to avoid storms. Recently Occam has been selected as a target by Solomani Liberation Front terrorists based on Weiwai (Alpha Crucis 1901). This page was last modified on 13 April 2019, at 22:30.